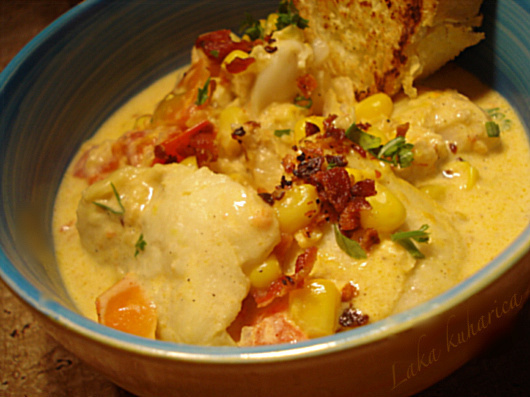 It is so easy and quick to make this creamy and light fish and corn chowder. 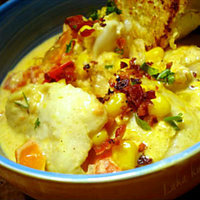 Heat the oil in a pan, add the onion and sauté for 3-4 minutes, or until softened. Add the tomatoes, sauté very briefly. 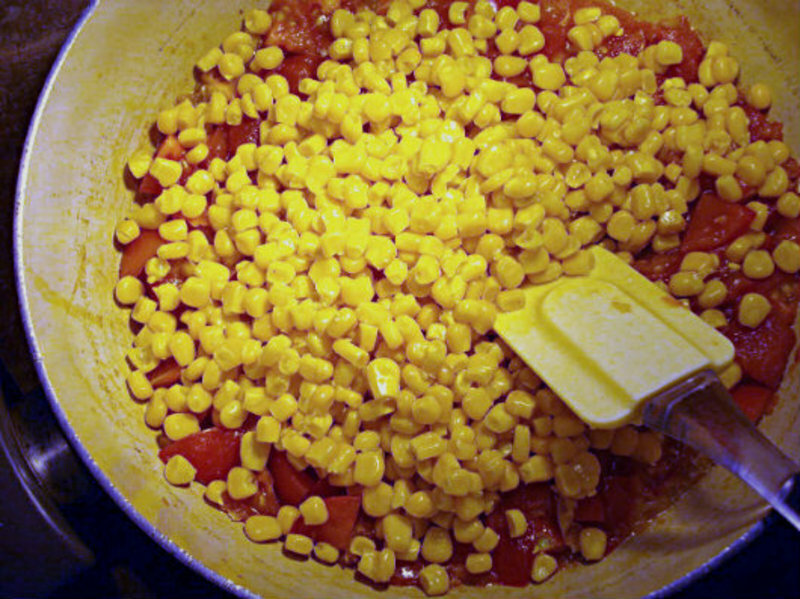 Stir in sweetcorn kernels and cook for 1-2 minutes. 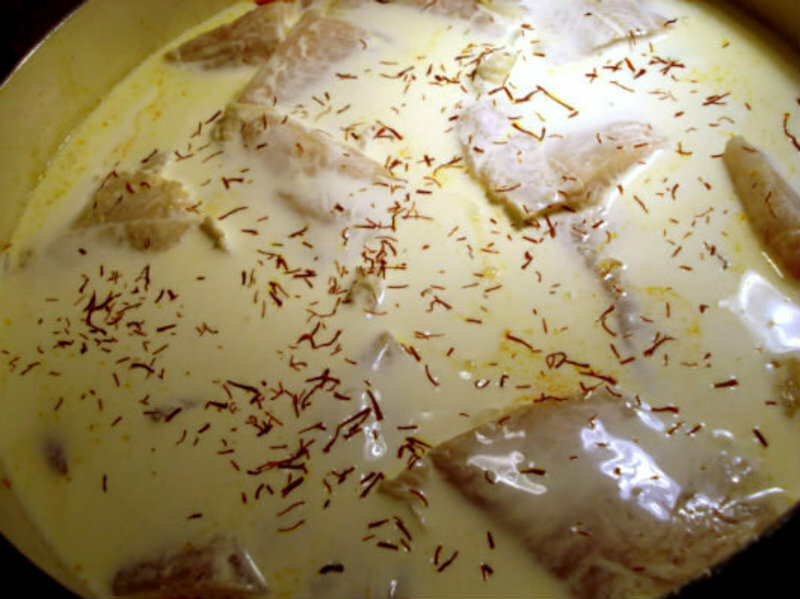 Add the haddock or cod fillets cut into smaller pieces, cream, saffron and simmer for 5-6 minutes, or until the fish is cooked through. Sprinkle with parsley, season with salt and black pepper and stir. Meanwhile, crisply fry bacon rashers; place them on the paper towel to remove the excess fat. Crush them into crumbs. Serve in soup bowls, topped with bacon crumbs.